Global Search is a new Lightning component available in Salesforce Summer ’16 Release. It allows users to see search results in one tab based on objects they have access to (both standard and custom). 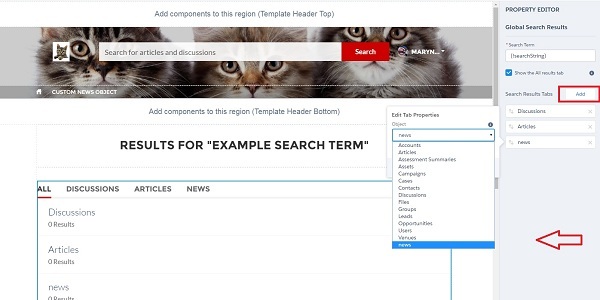 A community manager can easily determine which tab and search results community users can see. To enable Global Search, go to the Community Builder, and click Page Editor tab. Choose “Search” in the page drop-down list at the top. Delete the standard Search Results component. Choose Global Search Results component from the list on the left panel. Drag and drop it to the canvas. Click “Add” button in the Property Editor of the component. 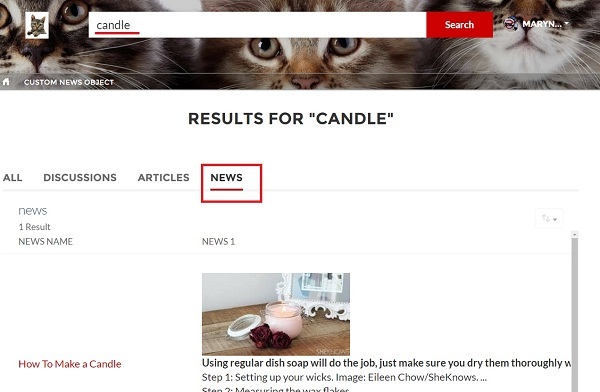 Choose the object you want to be included in search results. It can be a standard or a custom object. Click Save and Publish. Go to the Community home page, type a keyword into the search bar and click Search. Search results will contain a tab with the added object.